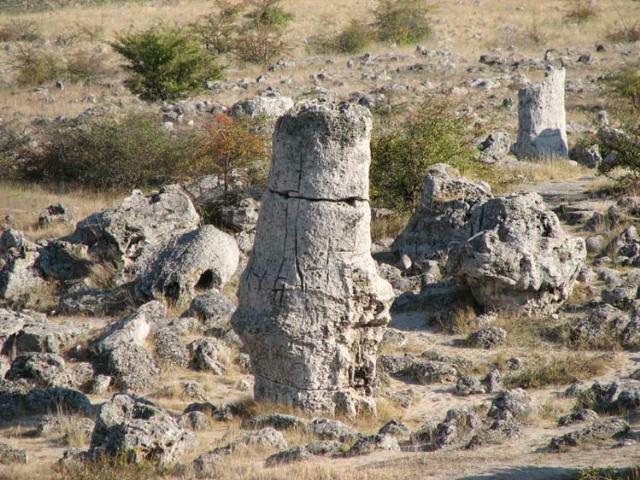 The unique rock formations Pobiti kamani is present in the list of the UNESCO world catalogue as a natural phenomenon. 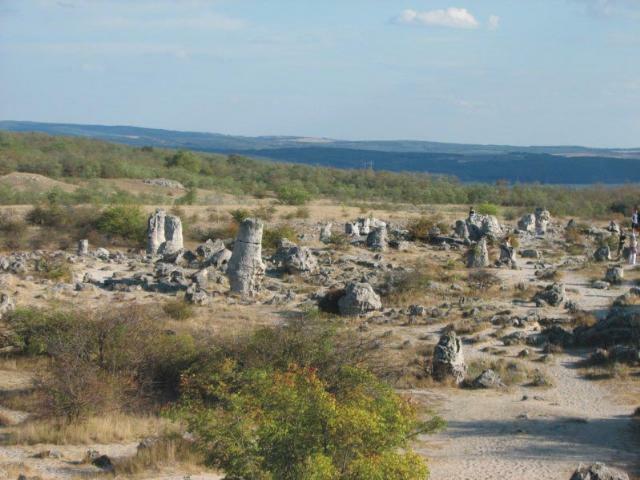 It is situated 18 km from Varna on the old way to Sofia and occupies an area of 70 sq.m. The place is semidesert-semisteppe, measuring 32 km in length and 230 m to 4 km in width. The microclimate there has a number of peculiarities – it is almost always windy, the soil consist of coarse granular carbonates with unusually high content of coarse sands and highly erosed clay, the vegetation is sparse – only 4 vegetation species. The composition of the rocks here was first described in 1829 by the Russian traveler Victor Teplyakov. 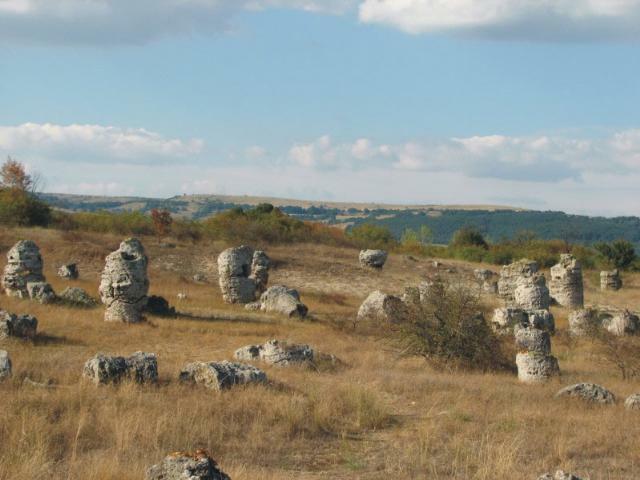 A number of Bulgarian and European scientists have put forth their theories on the origin of these Pobiti kamani. The sand-lime columns reach up 5-7 m in height and their diameters are 30 cm to 2-3 m in most cases, they are hollow inside. 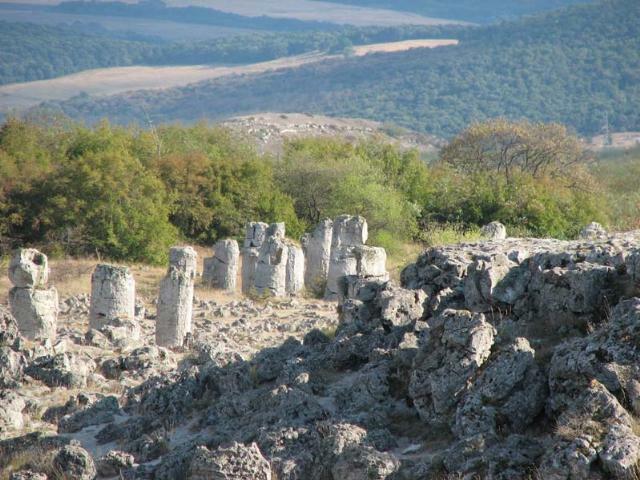 They look like ancient temple columns, vases, petrified trunks, thrones. They were formed some 50 million years ago when this site was sea bottom. The stone groups have special names – Suludzhite, the Slantchevo, Strashimirovo, Beloslav rocks. Part of them hardly appear above the sands. The scenery is striking and leaves a deep trace in tourists’ minds.